Making cocktails is a science and art. It takes time to master the art. You are going to have to do some experimenting to make great new cocktails. 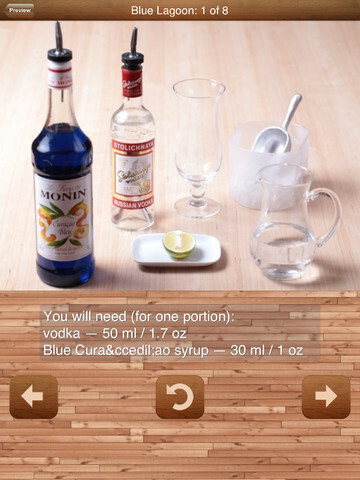 How to Make Cocktails is a cool application that shows you how to make tasty cocktails. It brings some of the most popular cocktail recipes to your iPad and provides you with step by step instructions to prepare them. How to Make Cocktails provides you with recipes for alcoholic and nonalcoholic cocktail recipes (e.g. Cuba Libre, Americano, Blue Lagoon, White Russian, Margarita, and Irish Coffee). The pictures included make it easier to keep up. Detailed instructions are provided so you will know what to do. The user interface is pretty easy to get a handle on too. 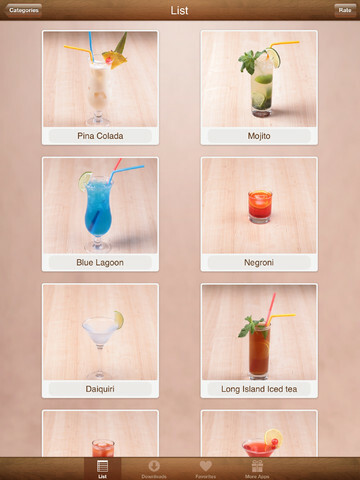 How to Make Cocktails is a fun app if you want to learn how to make your own cocktails. It could always use more drinks though.